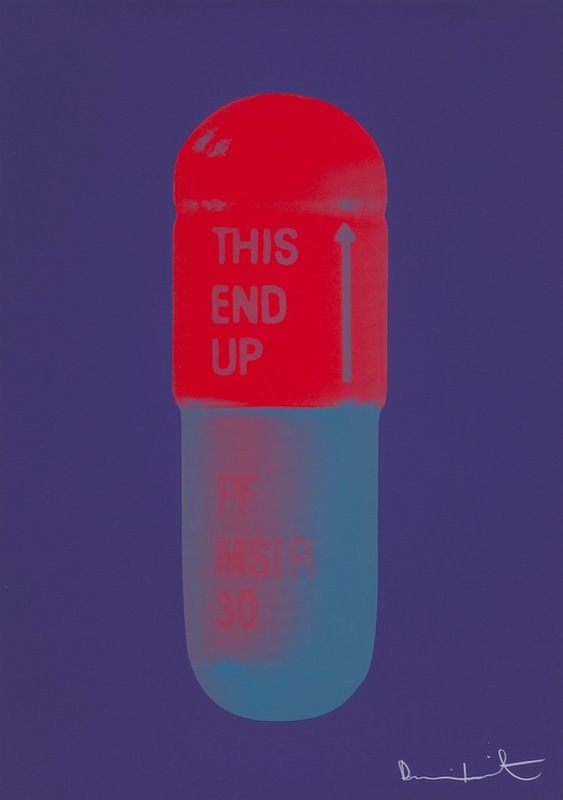 Damien Hirst, The Cure – Violet / Electric Red / Powder Blue, 2014, silkscreen on Somerset tub sized 410gsm paper, 72 x 51cm. Edition of 15. Courtesy: the artist and Filter Fine Art, Sydney. Filter Fine Art presents a selection of works from Damien Hirst’s The Cure series, alongside a complete set of Antony Gormley’s Matrix aquatints.